When it’s winter and the frost is on the ground, the thing you want most is to be wrapped up all warm and cosy. But when it’s the weather for keeping your home warm, often the cold climate can lead to problems which cause quite the opposite effect! Frozen pipes can mean a headache all round, in no small part because it can leave you left without any heating or hot water. But as well as this, when water freezes, it expands, which can put huge pressure on the pipes and lead to breakage. As hardwearing as they are, the pipes in your home are susceptible to the cold too, especially the ones which are on exterior walls, so how do you prevent your pipes from freezing this coming winter? Insulate the pipes well – The pipes in places such as the attic and under the house can get very cold because they’re exposed to the elements more. Foam insulation, which is secured with duct tape at the joints, can help combat this. Open cupboard doors – Check if your appliance backs onto an exterior wall. If this is the case, leave the cupboard door open which it is housed in to let in the heat from your home. Turn off your water if heading away for the holidays – because burst water pipes can cause damage of all kinds. 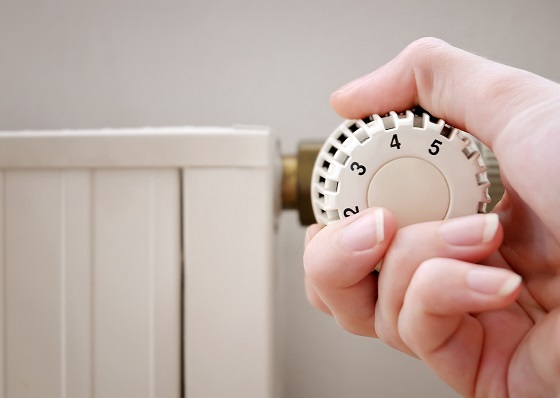 Keep the heating fairly constant – If you keep the heating on at a steady temperature, which will prevent the house from getting too cold, this may mean a slightly higher utility bill, but should be less than the cost of replacing your pipes. Keep your garage door closed in cold weather – especially if there are pipes which supply water in there. Consider moving the exposed pipes to somewhere less cold – a professional plumber should be able to do this for you without a problem. Insulate the colder areas – instead of insulating your pipes, you might instead choose to insulate the colder areas themselves. However this can end up more costly. If you want to be prepared for the freezing temperatures of winter and think you need a plumber who can help, then you can contact RJ Dutton today. We’ve had years of experience in insulating and protecting the pipes in homes all over Leicestershire and would be pleased to see how we can do the same for you.